McBASTARD'S MAUSOLEUM: ON MARCH 26TH, 88 FILMS OFFERS A TRILOGY OF FAR EASTERN FILMS THAT ARE ESSENTIAL TO ANY ACTION MOVIE COLLECTION! ON MARCH 26TH, 88 FILMS OFFERS A TRILOGY OF FAR EASTERN FILMS THAT ARE ESSENTIAL TO ANY ACTION MOVIE COLLECTION! The UK's leading label in cult Oriental awesomeness brings back a pair of classic Hong Kong swordplay shockers in THE ONE ARMED SWORDSMAN and THE DRAGON MISSILE and introduces British viewers to a contemporary example of the Korean wave in SEA FOG. All three are available from March 26th in tempting special editions! Few home video lines have been as adventurous and esoteric as the 88 Asia Collection, which has brought some of the classic examples of golden age Hong Kong horror, kung-fu and adventure back to British DVD shelves. From the hard-fisted action of FIVE ELEMENTS NINJAS to the outrageous city-destroying monster mash MIGHTY PEKING MAN, the 88 Asia emblem signifies one of the most exciting and unpredictable series of Far Eastern fun ever unleashed on foreign film fans. 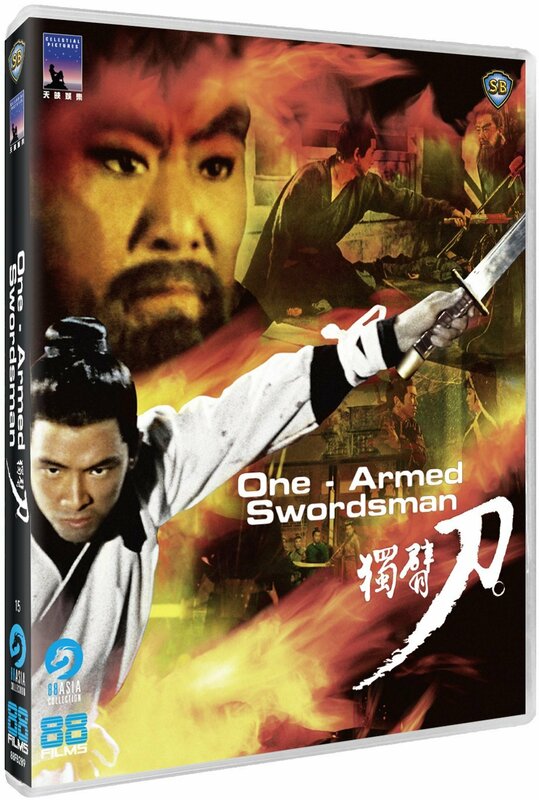 Now, 88 Films outdoes themselves once more with the release of THE ONE ARMED SWORDSMAN, the martial arts epic that is widely considered to be one of the most influential and important wuxia movies ever made! Directed by the legendary Chang Cheh (THE BRAVE ARCHER) and featuring dynamite duels and limb-lopping set pieces galore, this bombastic widescreen mix of arthouse aesthetics and grindhouse gore led to numerous sequels and rip-offs but, as always, the original is the best! 88 Films pulls out all the stops for this release, with an audio commentary featuring the Asian film expert Bey Logan - recorded in Hong Kong last November - and an on-camera interview with David West, long-time reviews editor for NEO magazine and author of the essential monograph CHASING DRAGONS: AN INTRODUCTION TO THE MARTIAL ARTS FILM. Audio options include the original Mandarin language track or the English dub - just the way ONE ARMED SWORDSMAN would have played on 42nd Street back in the halcyon days of chopsocky triple bills! In addition, early orders will come with a booklet penned by Calum Waddell and a positively gorgeous slipcase. Next up from 88 Films is THE DRAGON MISSILE - another masterpiece from Hong Kong cinema's most prolific and golden era! 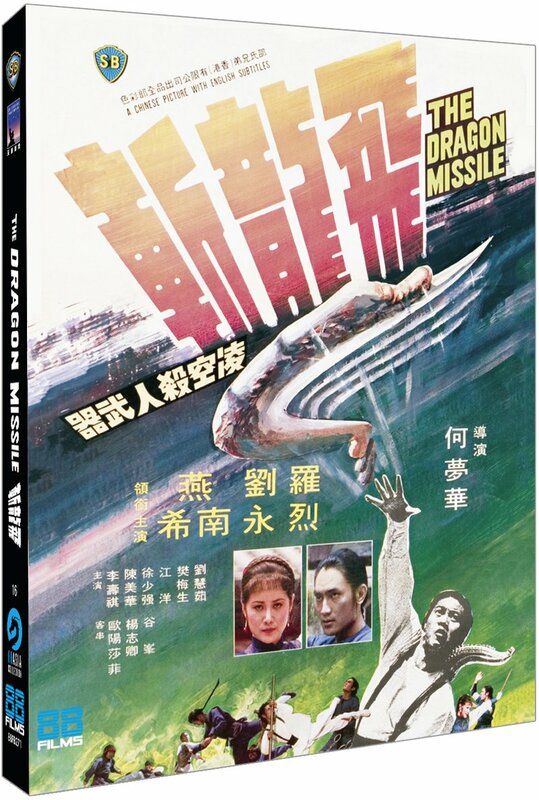 A sort-of sequel to THE FLYING GUILLOTINE (1974 - also available from 88 Films), THE DRAGON MISSILE hit theatres in 1976 and proved to be a box office sensation all across Asia, selling out seats from Bombay and Bangkok! With decapitations aplenty, this vicious tale of blood-splashed vengeance in ancient China stars kung-fu icon Lo Lieh (THE 36TH CHAMBER OF SHAOLIN) and was directed by the great Meng Hua ho (VENGEFUL BEAUTY). Watching THE DRAGON MISSILE today and it is easy to see why audiences fell for its many charms - the carnage comes thick and fast and the atmospherics can be cut with a knife, such are the many invigorating Shaw sets and widescreen shots of headless corpses! Awash with the trademark Shaw Brothers use of colour and featuring a powerful music score, THE DRAGON MISSILE arrives to UK Blu-ray with a limited edition slipcase and booklet by author Calum Waddell, as well as a pair of audio commentaries: one from David West and the other from Bey Logan - recorded at the same time as ONE ARMED SWORDSMAN. 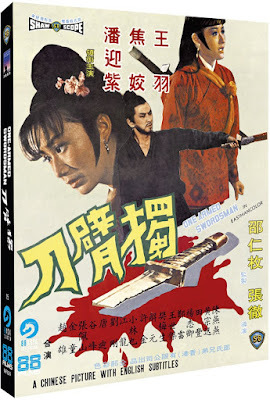 As with ONE ARMED SWORDSMAN, 88 Films has also included the audio choice of Mandarin language, with English subtitles, or the grindhouse greatness of the original English dub! 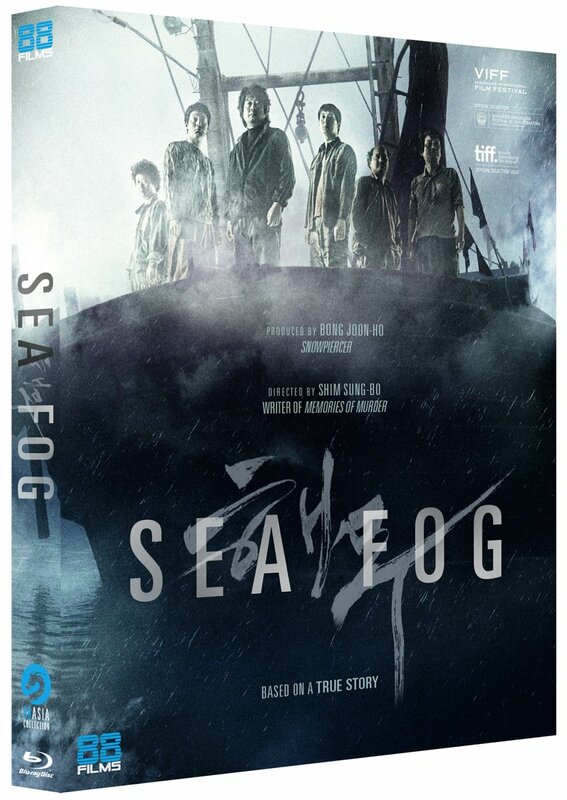 Finally, as far as March goes for 88's Asia range, is the modern South Korean thriller SEA FOG - Shim Sung-bo's stormy masterwork, released in 2014 to wide critical acclaim and audience appreciation. Oscar nominated at the 2015 Academy Awards, SEA FOG tells of illegal people smuggling between China and Korea - with an unexpected tragedy leading to death, infinite terror and suspense in the South China seas. Who will survive SEA FOG and how many viewers will still have any nails left when this tense tale of ocean-bound unease comes to its conclusion? 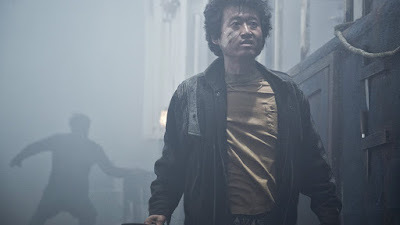 Produced by Bong Joon-ho (THE HOST/ OKJA), SEA FOG deserves to be mentioned in the same breath as such Korean cult classics as A BITTERSWEET LIFE, THE MAN FROM NOWHERE and OLD BOY. 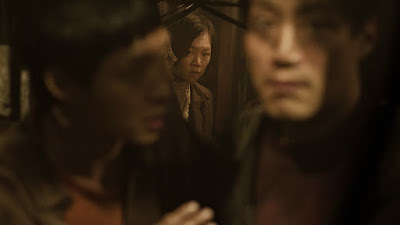 Fans of the Korean wave certainly should not miss this powerful and potent tale of greed and grit in contemporary East Asia - made all the more terrifying given it is based on a true story! Unleashed to UK shelves in a stunning HD transfer, 88 Films offers British viewers the chance to watch SEA FOG in its original Korean language and with English subtitles. Special features include a visual effects reel and an enlightening interview with leading critic Jean Noh, Deputy East Asia Editor for SCREEN INTERNATIONAL. Orders from the 88 Films web site will, at present, grab a limited edition slipcase featuring the movie's original theatrical art.